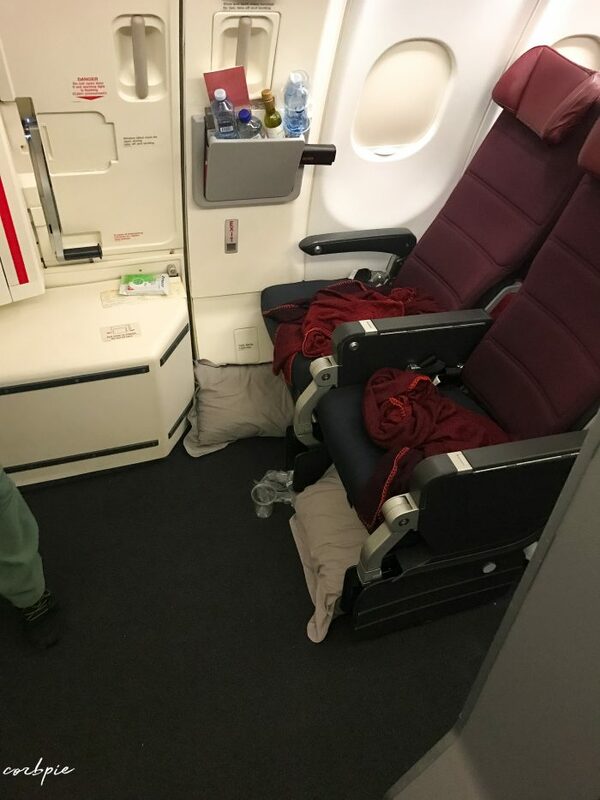 Here are my experiences, observations and photos from sitting in these seats with my father on a 10 hour flight to China and back recently. This model was an updated or refurbished plane over the A330-200. It had the modern red seats and entertainment screens/system. One thing to note when planning on sitting in an exit row on the A330 is how noisy it is. Situated right next to the back of the wing noise cancelling headphones are a must. I paid $75 each way to select the exit row seat prior to the trip. Money excellently spent if you’re tall. Myself being 6’9″ with long legs, it’s not fun nor pleasant sitting in a normal economy seat especially for 10 hours. All the exit row seats on the A330 have the fold out entertainment screen and tray table, which apparently makes the seats thinner but I didn’t notice it. They are also situated right at the Toilets and areas that other passengers stand/wait/stretch so if you stretch your legs right out they can be tripped/stumbled on. The exit row seats can also make you cold, due to the massive exit door which doesn’t insulate well. 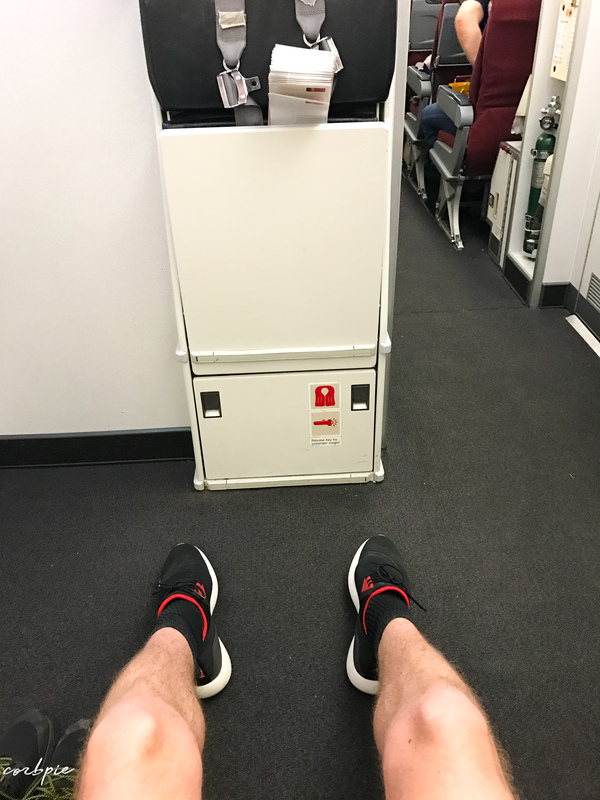 45K in the A330-300 has the notorious escape slide box, which did protrude quite a bit into about half of 45K’s leg room meaning they would need to angle their legs. It’s no issue if you know the person in 45J. 45B in the A330-200 is quite different in leg room space to the A330-300 for what ever reason you get quite a bit less, still plenty though. When the flight attendant sat for takeoff and landing I had to pull my legs right in to give him space, this wasnt the case for the A330-300 which has the attendants seat further away. This also meant less room for the other passengers to congregate. 45A in the A330-200 had a much less defined escape slide box protruding making it a very solid choice.